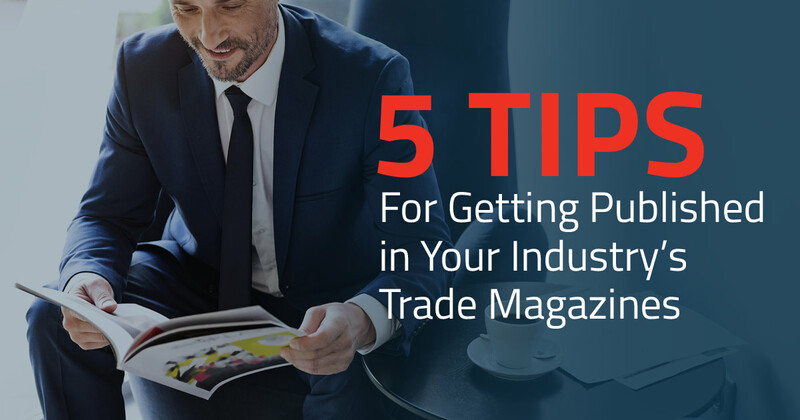 For companies that are looking to grow their business or improve their overall brand image, having materials published in your industry’s trade magazines is a great way to advance these goals. It’s important to note that writing for trade magazines is different than writing for typical consumer newspapers or magazines. The “trades” are looking for something newsworthy—something that will stand out and attract and expand their readership. To do that, your content must help them introduce an interesting angle on a topic, or information that readers couldn’t get in this form anywhere else. When writing content for your specific industry, you will want to identify all of the publications where you would like your content to appear. You can find these through a Google search. The key is to identify the editors or writers who publish in your topic area, then get to know them. A reporter is more likely to cover a story that you pitch if you have built a relationship with them and they are familiar with your business. When reading through your industry’s publications, look for the departments that you would most likely pitch your stories to. In each department, you should determine who the editors and writers are and collect their contact information. Additionally, you should conduct research on each writer, learning their editorial standards and style of writing in order to tailor your pitch to each individual. 3.Create a story in your pitch. If your company has a new product, service or event that you believe should be covered, be sure to make a story out of it. Think of this process from the editor’s point of view. They receive multiple pitches on a daily basis. You want your pitch to really stand out by making a story that’s memorable, emotional and creates excitement in readers. Make the topic relatable through specific details of human interest that you tell along with the main content. You will have two forms of your pitch. The first is the “Elevator speech” size. The first sentence is a hook that asks a question or poses a problem. The second sentence proposes the solution overview. The third tells of the interesting approach to how this solution was implemented, and the fourth describes specific results. If possible, express the results in numbers and positive outcomes. This can be delivered in a quick phone conversation or in a hallway at a conference in an effort to schedule a meeting for a longer conversation. The second form of your pitch is a larger Abstract of several paragraphs. This form will give more background on each of these areas. The Abstract needs to be written in an active, attention-getting style. This is the piece that you would discuss in a follow-up conversation. 5. Use the preferred methods of contact when reaching out to publications. After creating your pitch, identifying the publications you want to send it to and compiling a list of reporters and editors, you still have one more important step before sending it out. Each trade magazine or publication will have their own rules about submissions. Some of these might include online forms, physical mail-in packets, or contacting an editor directly by phone or email. After completing the remaining steps, it’s crucial that you submit your story correctly, or else you may risk all your efforts being a waste of time. Have you ever been successfully published in a trade magazine? If you have yet to try, there is no time like the present! Don’t give up if you don’t get many responses, or any at all, on your first try. 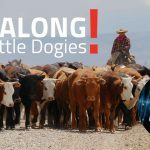 Keep crafting unique stories, submitting your pitches to the publications you have targeted, and building relationships with “your” reporters and editors. Remember, “Fortune favors the bold”—and the persistent. If you stick to it, they’ll know you are taking this seriously and be more likely to see value in investing their time in a relationship with you—someone who is clearly committed to advancing their goals and yours. Then, when they give you your shot, shoot to score! If you would like support in this area, give us a call. We’re committed to seeing you MOVE ahead. Further. Faster.